The 126 error Code is usually related to some issues with the configuration of the system files in Windows operating systems. It may be caused by the damage of some system files and entries, which, in turn, may lead to instability of the entire OS. An incomplete installation of software, incomplete uninstallation of different applications, improper deletion of data or force shutdown of the computer, may all result in the occurrence of the 126 error Code. In some cases, the error may appear if your computer is recovered from a virus attack where the deletion or the corruption of entries in the windows registry may lead to missing and wrongly linked files, which are needed for the proper operation of the PC. If you are recently facing the error 126 Code on your computer, then, on this page, you will find a helpful list of instructions, which could help you to troubleshoot the problem on Windows Windows 8.1/ 8, 7 and Vista operating systems. If error 126 Code appears when you are trying to use iTunes, other Apple products or different applications that you have installed on your PC, it means that there is something wrong with the system, the program files may be missing or corrupted and, in that case, you may need to reinstall the software products to get rid of the problem. 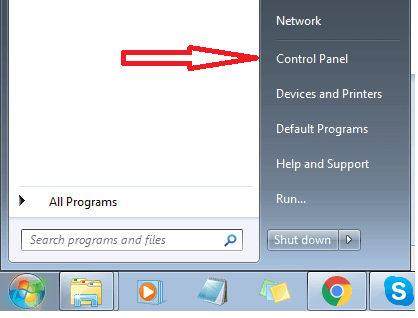 Press Windows Key + X and then click on “Programs and Features”. 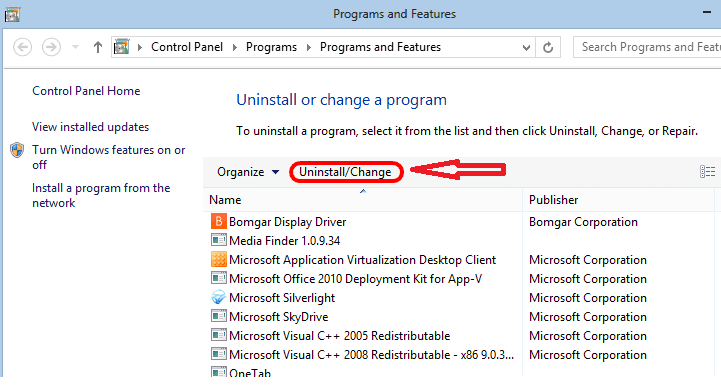 Right click a program that you would like to uninstall and choose the “Uninstall” option. Download new setup of iTunes from the official website and install it on your computer. 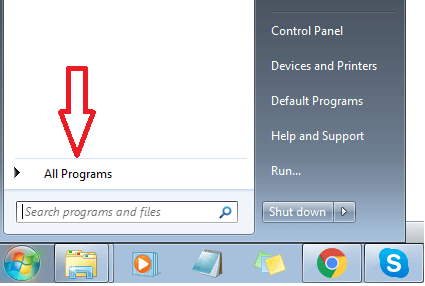 Repeat the steps from 2 to 5 from the Reinstall programs in Windows 8.1/ 8 paragraph. Right click on My Computer desktop shortcut. Select Properties and click on the “Advanced system settings” link (displayed on left side panel). A System Properties dialog box will appear with Advanced tab opened as default. Click the “Environment Variables” button and select “System Variables”. There, you’ll find “Path” in the “Variable” variable. Select it and click the Edit button. In case that the startup type of Windows Defender has been changed, you’ll have to reset it to “Automatic” in order to fix error 126 Code. Error 126 may occur when the files in the Repository folder are corrupted. To use this fix, first, stop Windows Management Instrumentation service and then delete this folder. It is very important to stop the service before proceeding since it uses the Repository Folder. Error 126 Code may appear when “srvsvc.dll” file is missing. This file is located in the i386 folder in Windows installation disc. The same file is copied to your hard disk during Windows installation. To fix the problem, copy the file again to your hard disk with Command Prompt and place it in the correct directory. Fix 6: Repair the WinSock with the command given below. 3. When you’re done with the execution of these commands, reboot your computer.